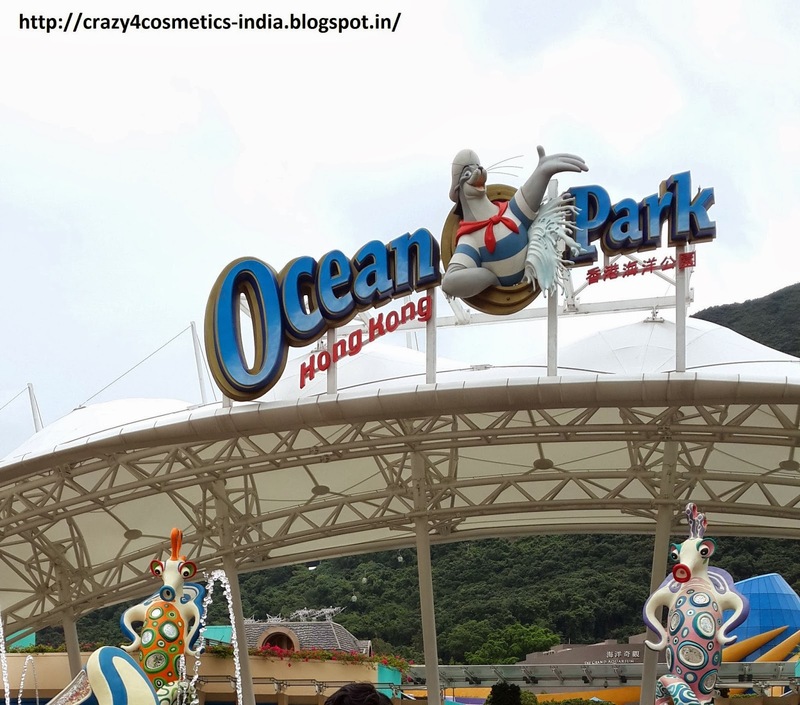 Ocean Park is an amusement park started by the HongKong Government and now run by the Ocean Park Corporation. 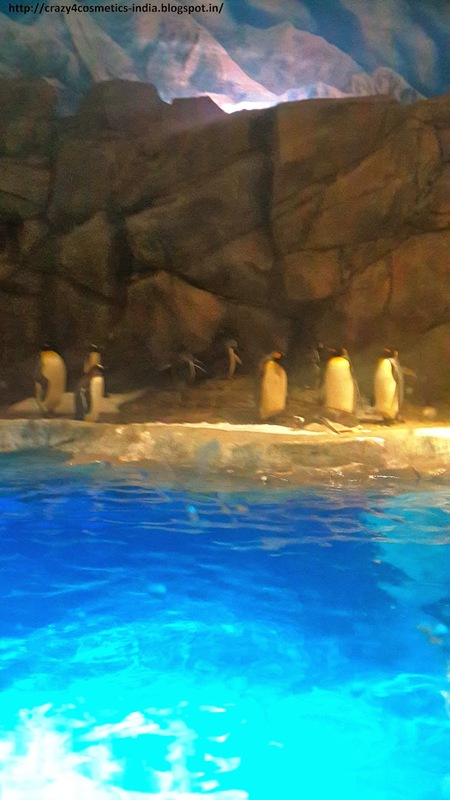 It also encompasses a marine mammal park, oceanarium & an animal theme park.The theme park is built on top of a mountain and all the rides are located on the mountain peaks.. You can see the ocean on one side, mountains on the other side when you are on the rides… So ready steady go… Off to Hongkong Ocean Park. 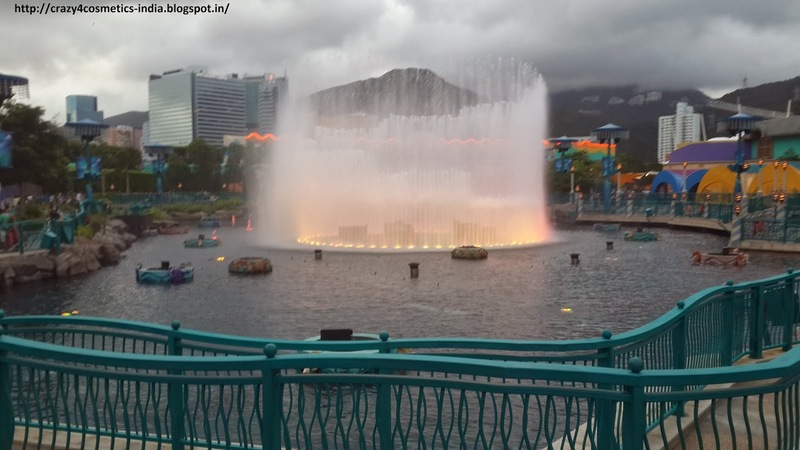 Hongkong Ocean Park- How to get there? The fastest and probably the best way to get to Hongkong Ocean Park is via the MTR We took the train from Jordan MTR to Admiralty station. 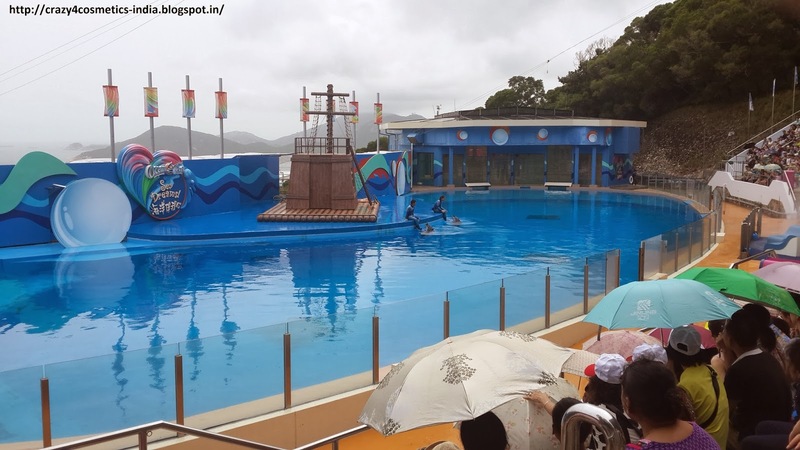 Hongkong Ocean Park is served by dedicated Citybus bus service 629 (fare HK$10.60) from Admiralty (West) Bus Terminus (MTR Admiralty Station Exit B) outside the Lippo Centre on Drake Street on Hong Kong Island. Buses operate at 10/15 minute frequency from 9am to 4pm daily. Journey time to Hongkong Ocean Park is approx 20 minutes. Following closure of the Tai Shue Wan entrance in early January 2011 all buses now terminate at Ocean Park's main entrance except on certain days when Tai Shue Wan entrance is used for crowd management purposes. 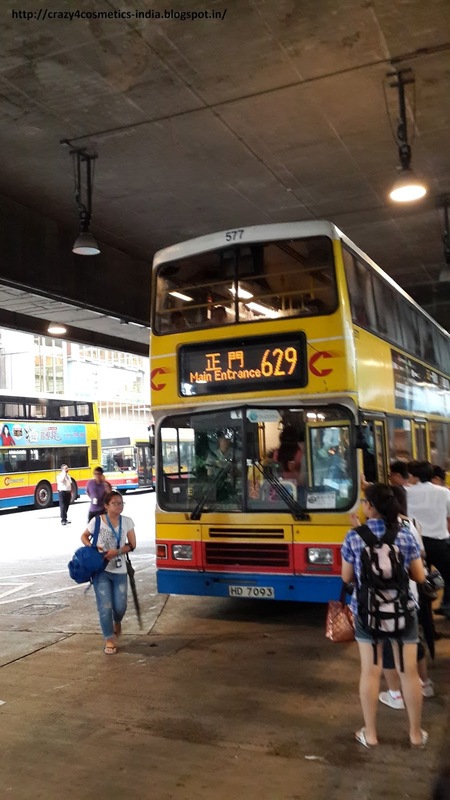 Though there was a huge crowd heading towards Hongkong Ocean Park, but still the City bus employees managed it so well & organized buses accordingly. We hardly waited for 5 minutes to get onto the bus & leave to Ocean Park. The route to Ocean Park was very scenic we started taking pics geared up for another day of adventure & fun. 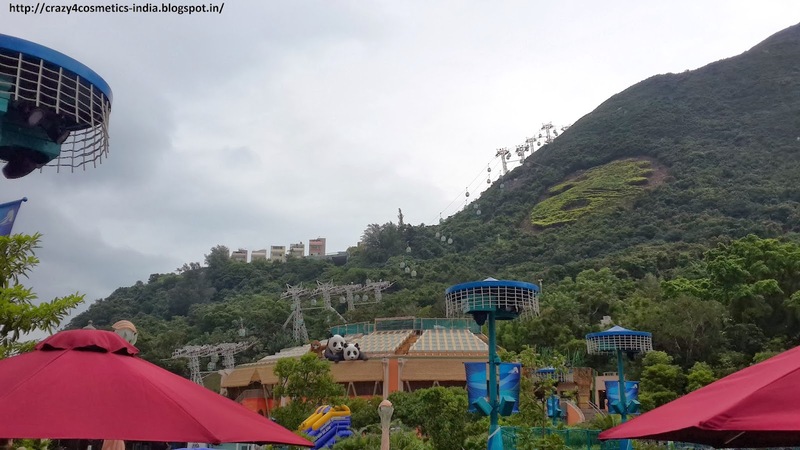 HongKong‘s first theme park, located atop a mountain with scenic locations around, a cable car journey to take you to the top, colorful aquariums, what else do you need? The Park is divided into 2 sections, The Waterfront & The Summit. These are again subdivided into 8 more sections. You can reach the top by either the Cable Car or the Ocean Express. The crowds are well managed by the management & there is no need to worry about reaching the waterfront on time. 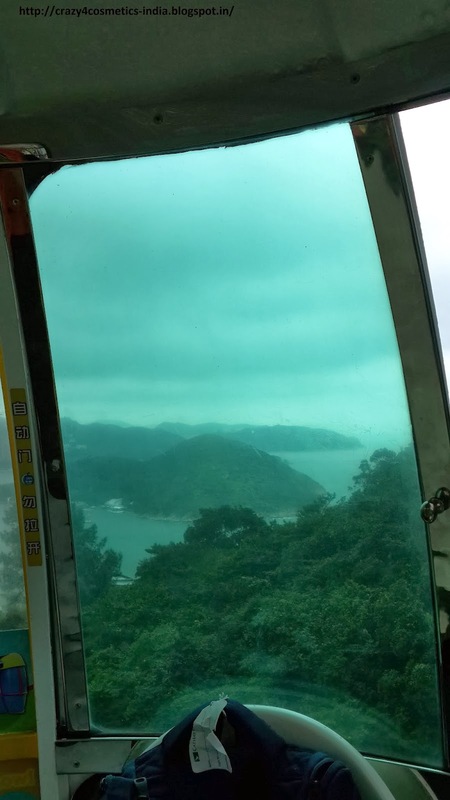 Cable Car ride is about 8 – 9 minutes with a view of the South China Sea on one side. Ocean Express train has a multimedia effect which creates an effect of going underwater & takes us about 3 minutes to The Waterfront. Ticket Price: HKD 225 per ticket if purchased from MTR Stations. A steel roller coaster located on top of a cliff overlooking the ocean. The railings look as though they are rusted.. But don’t panic… It is for the feel of traveling in a mine train. Head to this first & enjoy the ride as many times as you want. A giant wheel sort of a ride with enclosed seats, because you ll be at almost 90 degree inclination with respect to the ground.. Getting too technical.. Sit & enjoy for yourself. 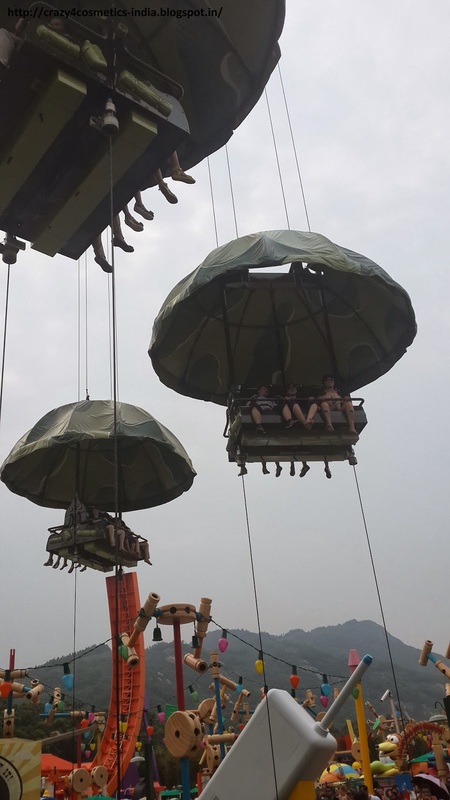 A couple ride, where you ll be seated inside a log shaped enclosure that ll take you around some scenic places & finally a free fall, sure to get wet.. Hair Raiser: A floorless roller coaster that definitely doesn’t let you down. Fun/Adventure seeking riders are sure to have their dose during this ride. 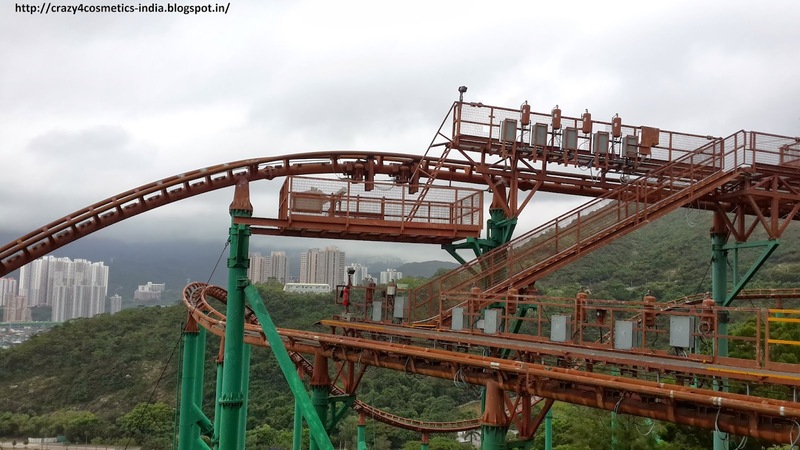 The ride travels at up to 4.0G during acceleration and 88 kilometres an hour – the fastest for a roller coaster in Hong Kong. Well just one word to describe it - " WOW " . The Dragon: This roller coaster is one of the fastest in HongKong & goes upside down at least thrice.. I got a bad headache after this. 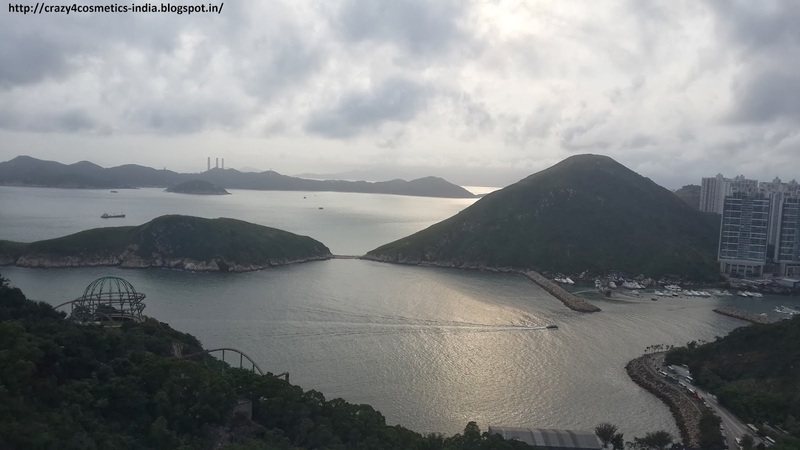 The Abyss: I was wondering whether to go on this since The dragon had given me a bad headache, but I had seen videos before coming to HongKong & wanted to try this for sure. It takes you to a height of 62 m (Imagine, Ocean Park is already on top of a mountain, & u go 62 metres above that!!!) and I could see almost half of HongKong from there. This is what I tell my husband every time because he didn’t want to take a risk in this ride. I am sitting there just admiring the whole surrounding sitting there and I think - Oh My God, I m flying. Then there is this free fall from that point till you reach about 20 metres from ground level !!! l. I seriously thought my belt has given way and I would fly out. Such a huge adrenaline rush !!! Crazy Galleon: A suspended ship that tilts passengers back and forth through a 75° arc, 15 metres above the ground. 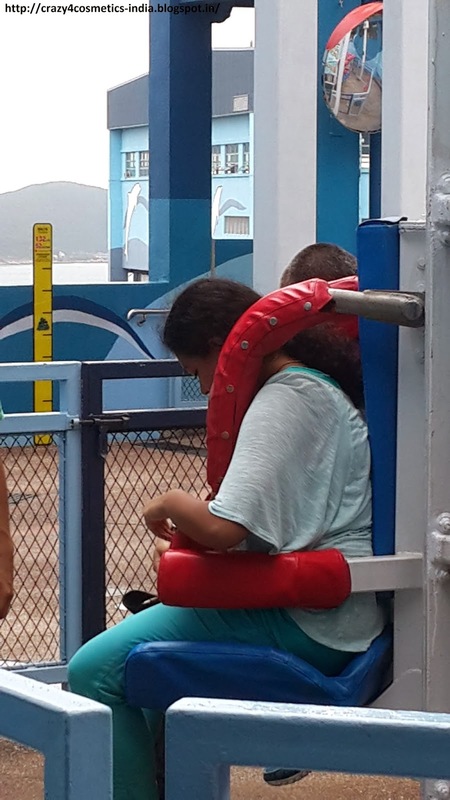 If you suffer from motion sickness this is probably not the ride for you. Arctic Blast: A roller coaster that takes you through various twists & turns amidst snowy rocks. A ride that can be enjoyed with the whole family. 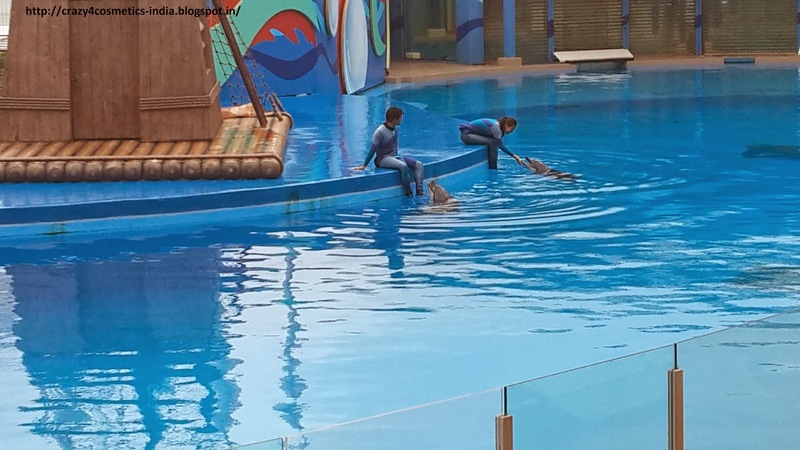 Sea Dreams: An enthralling spectacular show where dolphins & sea lions dance, perform and entertain us at the Ocean theatre. Please do not miss this show. 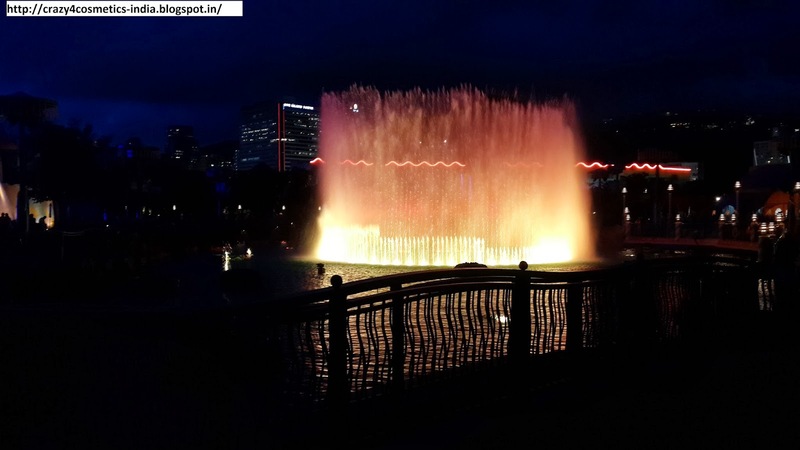 Symbio: A beautiful lights and water show which is a specialty of Ocean Park and the best way to round off a beautiful day. 1: Panda Conservatory- As the name suggests it is the home to cute pandas that were gifted to Ocean Park. Probably not as big as the one in Singapore Zoo but it is still worthwhile to visit. 2: North Pole Encounter and South Pole Encounter- Your chance to meet the wild residents of the North and South Poles. Do expect to freeze as it is really cold inside. 1. The weather predictions for that day were minimal showers, but it rained cats & dogs & the rides were suspended for a while. Plan your trip accordingly & go to theme parks on days when the weather forecast reads clear skies as it is no fun when they stop rides. 2. 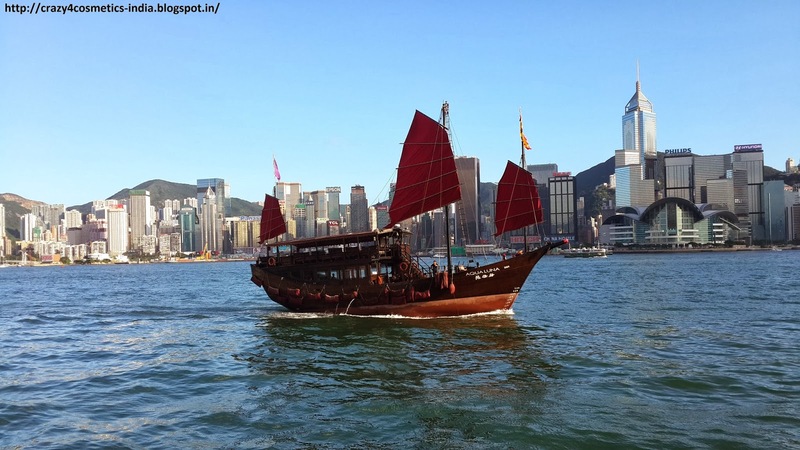 Follow the directions given in Hongkong Ocean Park & also have the park map with you always. Have a back up too since you might get wet in rides or lose it somewhere. 3. 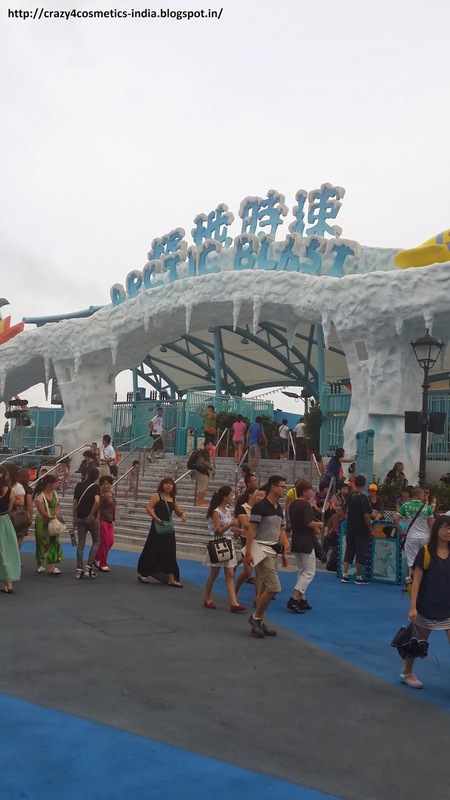 Arrive early as Hongkong Ocean Park is one of the most visited parks in the world and you can always expect large crowds. 4. Go to the summit early in the morning as it becomes easier to enjoy the best rides before rush. You would need atleast 5-6 hours to enjoy all the rides and shows at the summit. You could come back to the Oceanfront in the evening to enjoy the attractions. 5. 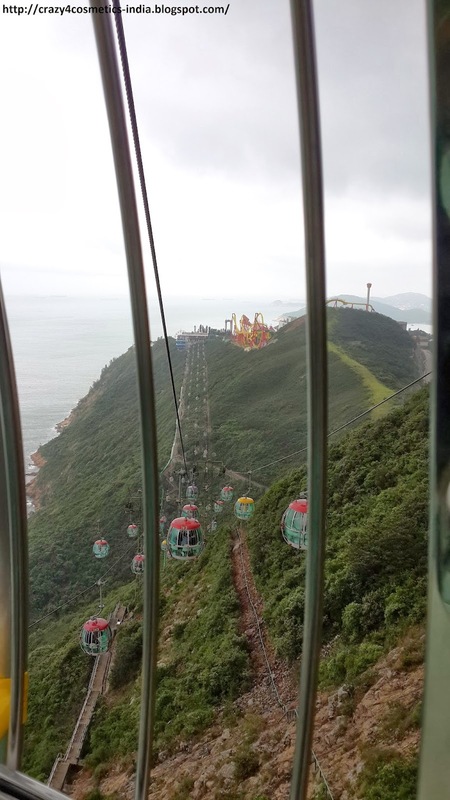 Take the cable car to go up to the Hongkong Ocean Park-summit and you can come back via the Ocean express. This way you can avoid the huge crowds at the cable car station as the day progresses. 6. Take advantage of the single riders line if possible cos the queues can be atrociously large at some place. I took advantage of the same to ride the Polar Express. It was a bright morning & we were all set to go to Hongkong Disneyland :) It was my first ever trip to any Disneyland and I was super excited. We had purchased the tickets the previous day at a small shop next to Avenue of Stars. We paid HKD 450 for each ticket & we got a cute umbrella as a compliment. The Hongkong Disneyland ticket counters will surely be flooded with people & we did not want to waste time in the queue. 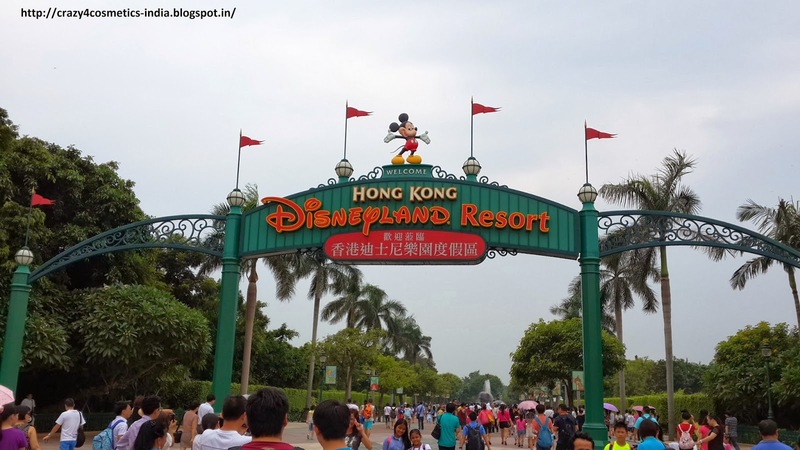 Hongkong Disneyland - How to get there? 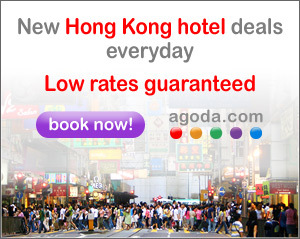 The fastest and probably the best way to get here is via the MTR. Hongkong MTR network is probably one of the best I have been in with very good connectivity. There is a train approx every 2 minutes and is very comfortable. We took the train from Jordan MTR to Lai King station, then changed to Tung Chung Line to the Sunny Bay station. 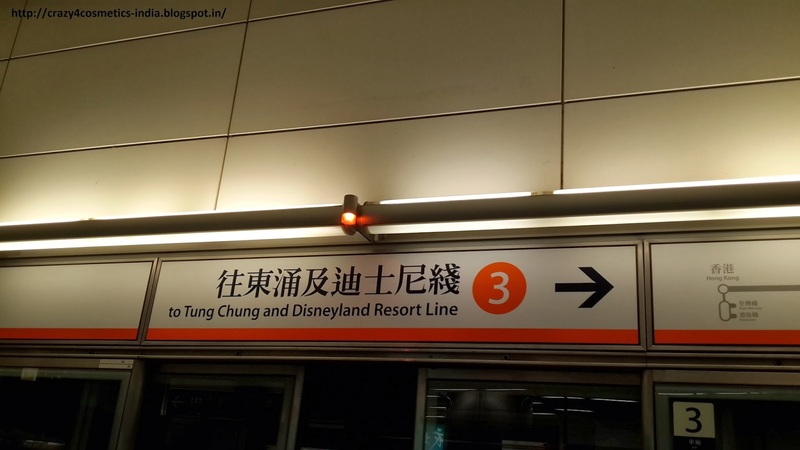 Once you reach the Sunny Bay MTR station your Hongkong Disney experience starts. From the Sunny Bay MTR station there is a special Disneyland Resort train that would take you to the Disneyland station just outside the park. The train was so colorful with Mickey Mouse windows & interiors and I could see excitement in everyone's expressions We were off to Hongkong Disneyland!!! 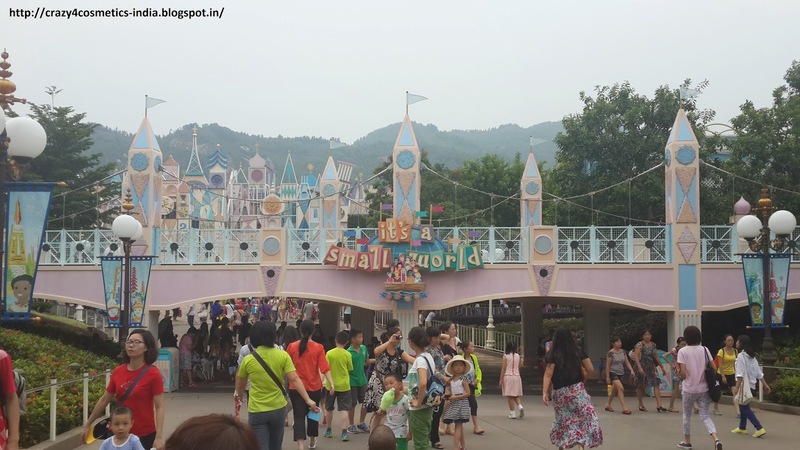 Well Hongkong Disneyland is obviously a smaller version of the Disneyland in the US and Europe but do not be fooled by its smaller size as there is enough to keep you entertained for the day. The park is divided into 7 sections with each section having 1 or 2 rides, great photo opportunities and stores selling Disney Merchandise. · Space Mountain: This was my first experience in the space mountain and it was one of the fastest roller coasters that I have ever been in. The best part is obviously the sharp turns as you zoom past planets and stars. Surely a ride not to miss. · Grizzly Gulch: If you like speed and the wild wild west this is the place to be. 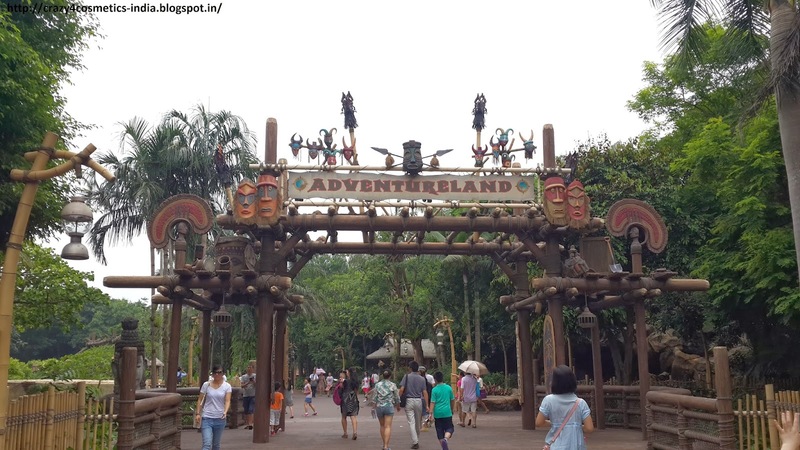 One among the newer attractions in Hongkong Disneyland this roller coaster takes you on a journey through mines and mountains. Do look out for the bears. · RC Racer: Imagine an U-shaped track and toy race car roaring away up a down and you get the RC racer ride. Though the ride is short ( 30-40 seconds ) you have loads of fun. 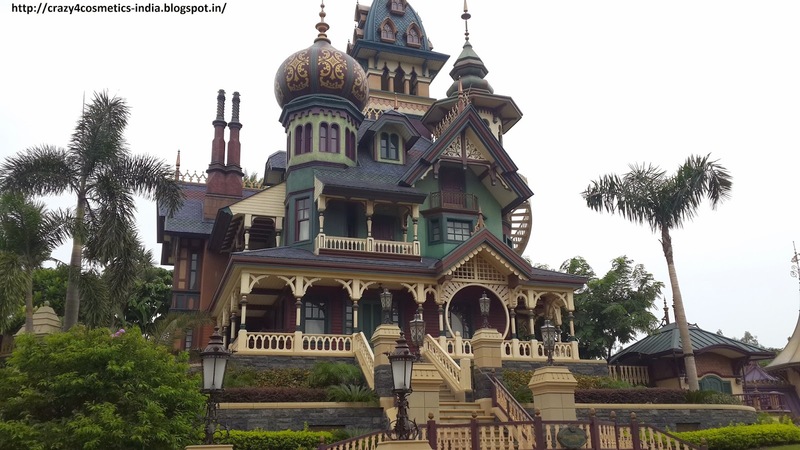 · Mystic Manor: This attraction is unique only to Hongkong Disneyland as per the agreement that HK will have one ride that no other Disneyland in the world has. Yes you guessed right , you will have a huge queue, but you do have some interesting artifacts in the Mystic Manor to keep you busy. The ride itself is very family friendly a visual spectacle and is really enjoyable. 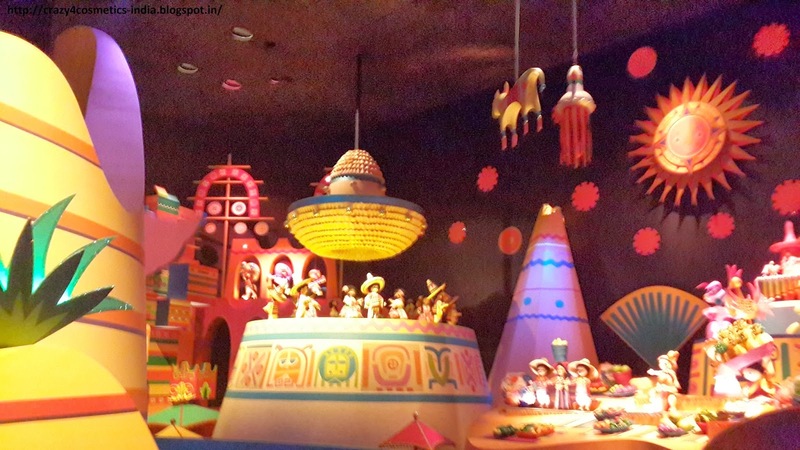 · It’s a small world: We round off the top 5 with a ride that takes you slowly around the world depicting each region beautifully. A really colorful ride both for the young and old. 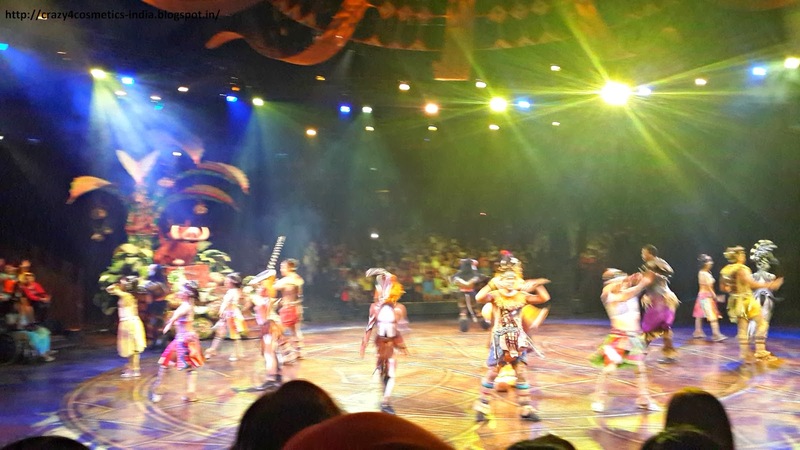 · The Lion King Show : Easily the best show in HK Disneyland which depicts the entire Lion King film as a musical. It is really magical when you see the artists performing for Hakunana Matata. Surely a show not to miss and I especially enjoyed the performance of the artist who played Scar. Golden Mickey’s Show : Who needs the Oscars when you can have the same show Disney style. Watch your favorite Disney characters vie for the Golden Mickeys for various categories. 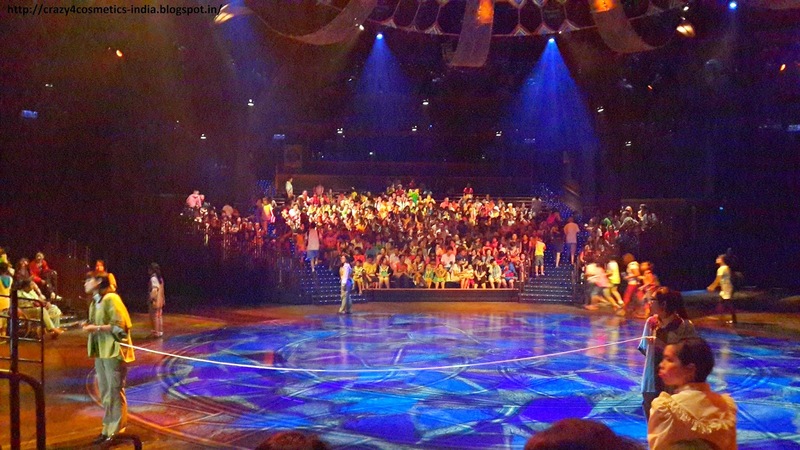 · Mickey’s 4 D Philarmagic show : I really loved this show for its brilliant 4 D effects. 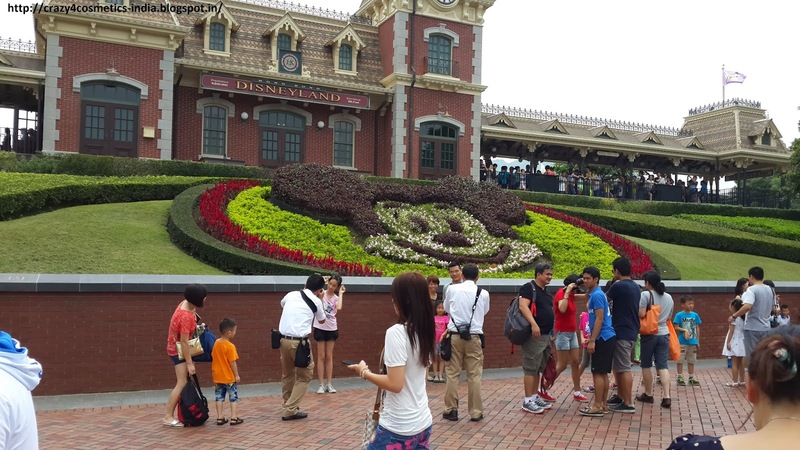 It is truly a treat for all your senses as you travel with Mickey around the world. If you do have time we suggest the 2 day pass as it would give you enough time to enjoy all attractions at leisure. 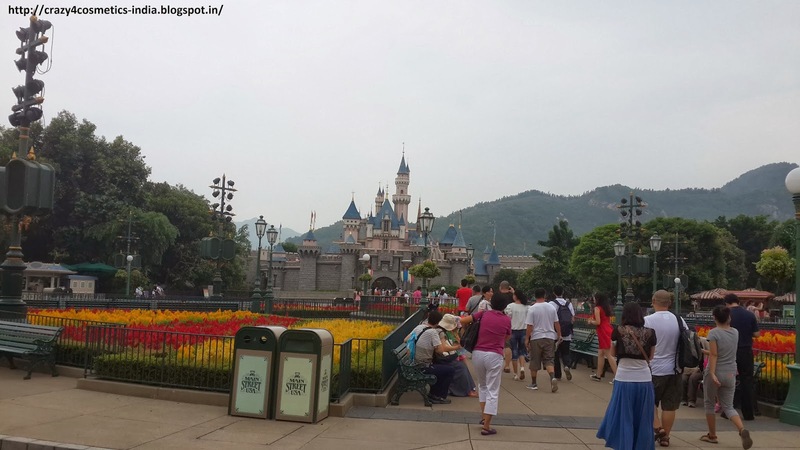 Disneyland Hongkong opens at 10:00 am, so make sure u r there by 9:30 & purchase tickets or buy them from MRT stations. 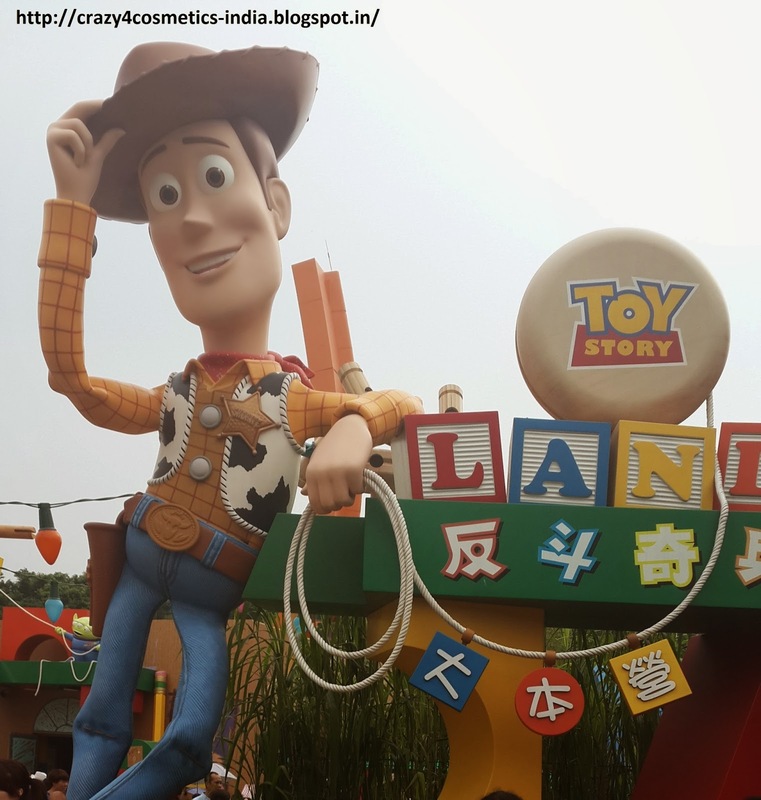 Do not stop to take pics in & around the scenic areas of Disneyland Hongkong , if you are very keen about enjoying all rides. Finish the rides not to miss & then stop by for some photos. 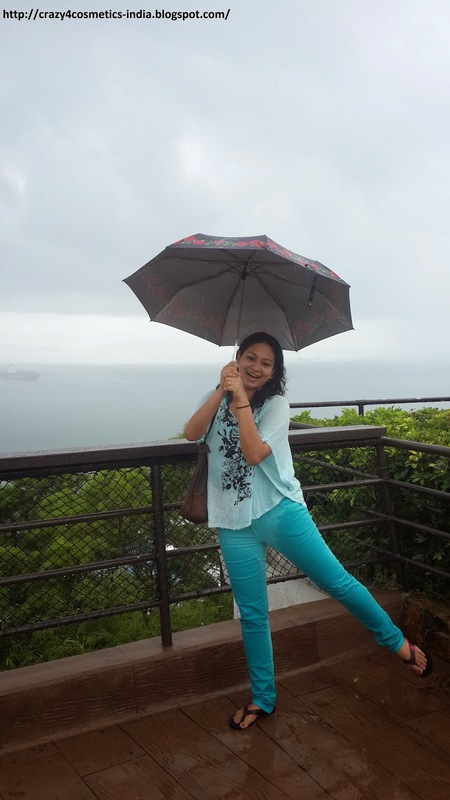 Always carry an umbrella or rain coat with you when u travel in HK. For any Disneyland Hongkong shows that you are watching please assemble at least 30 min prior to show timings as it can get really crowded ( especially Lion King Show and Golden Mickey’s show ). 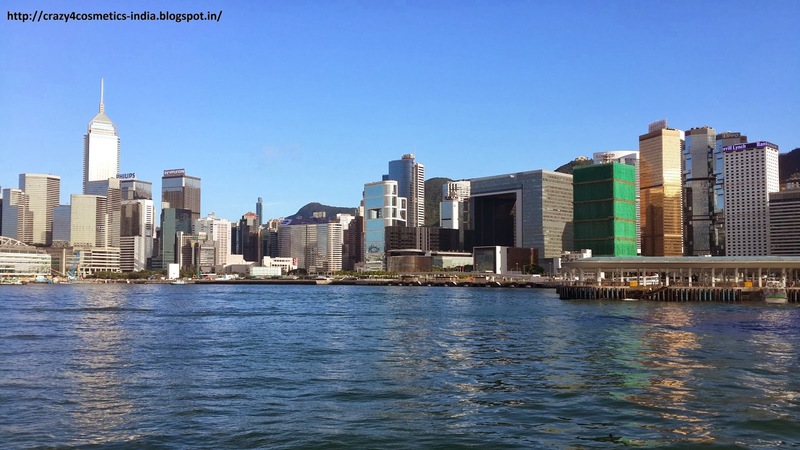 We had to check out & leave Macau to take a ferry directly to Kowloon and we checked out from the West Lobby & took the shuttle to Outer Harbour Ferry Terminal. 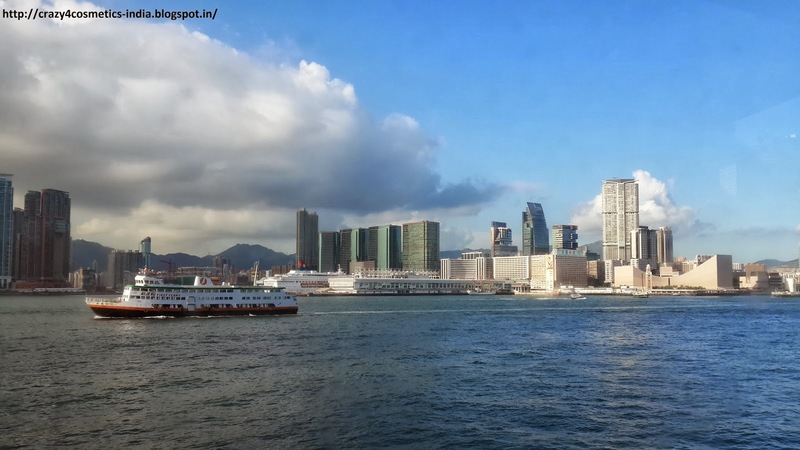 We purchased the ferry tickets for TurboJet, which connects to Kowloon directly where our Hotel was located.They charged an extra 25 dollars for our luggage. 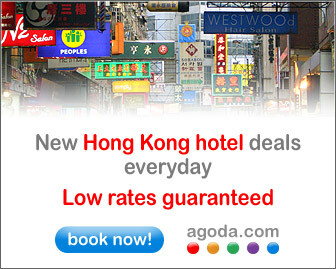 Eaton Hotel Hongkong is a 4 star hotel located in Nathan Road Kowloon which is approximately 5 min by walk from Jordan MTR station. 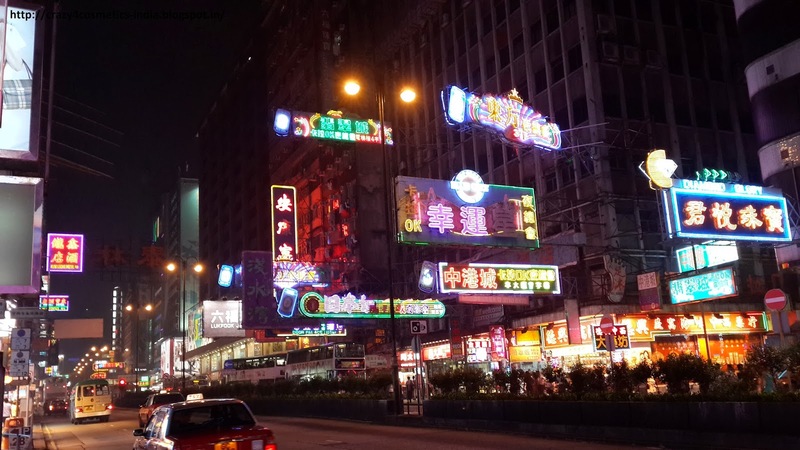 The hotel is conveniently located next to a 7 eleven, foreign currency exchangers and the Jade and Temple street night markets are very close by. So would rate it 5 star for location. We had booked the basic room and the room was comfortable and had all the basic amenities that were needed. The only down part of the room was that it felt a little cramped but keeping in mind the price and the overall space constraints in Hongkong, we were not complaining. The food , especially the buffet breakfast was good , and we are pleased with everything that we had at the hotel. Overall a great hotel that I would surely recommend. Swimming Pool: The pool is situated on the roof of Eaton Hotel. 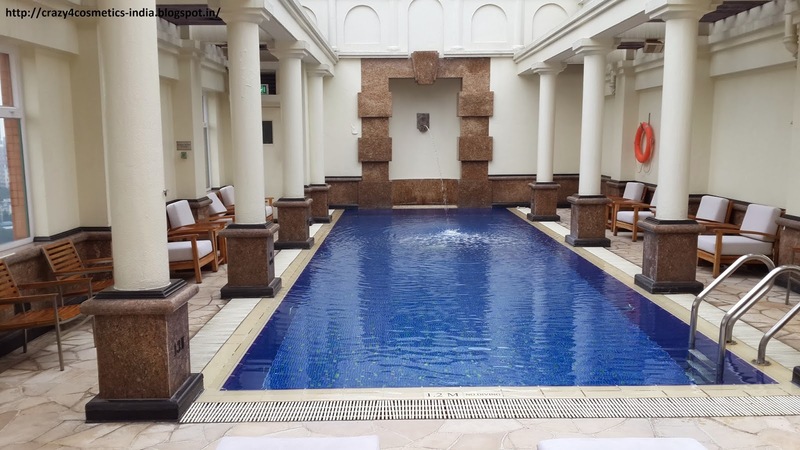 Very well maintained, clean & chic swimming pool..
How to get there ? Since Eaton Hotel, HK was close to Jordan MTR we walked to the MTR station & we took the train to Tsim Tsha Tsui..From Tsim Sha Tsui follow the exit signs and you will be there in probably 15 minutes. Whats to see and do ? 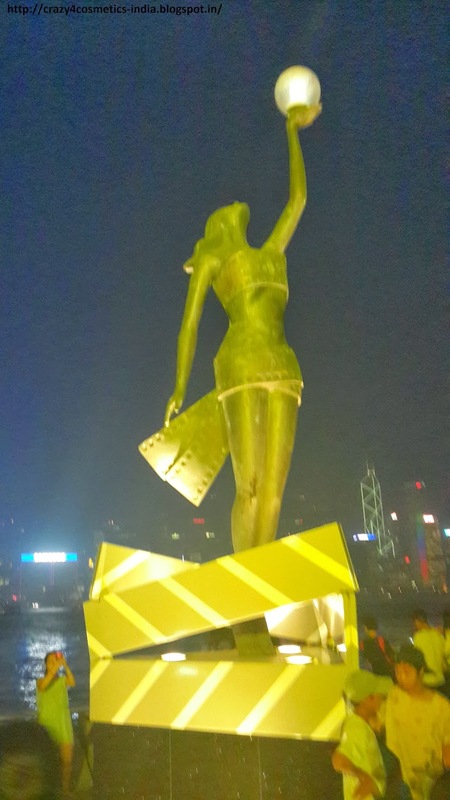 Avenue of Stars is a Hollywood style walkway where you get to see some life like statues of stars from the Chinese film industry. 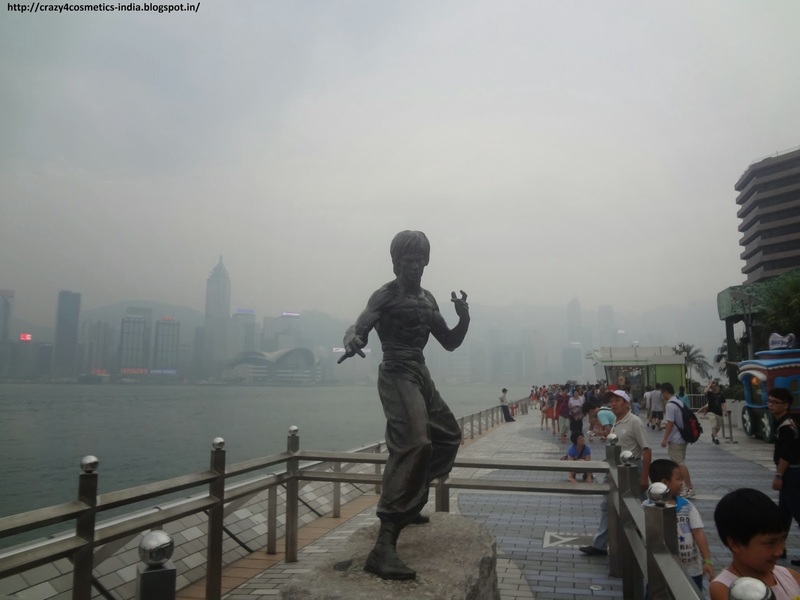 It is a place where residents of Hongkong and tourists alike throng for their morning / evening walk. Obviously the main attraction is Bruce Lee and we waited in line to take pics with the star. 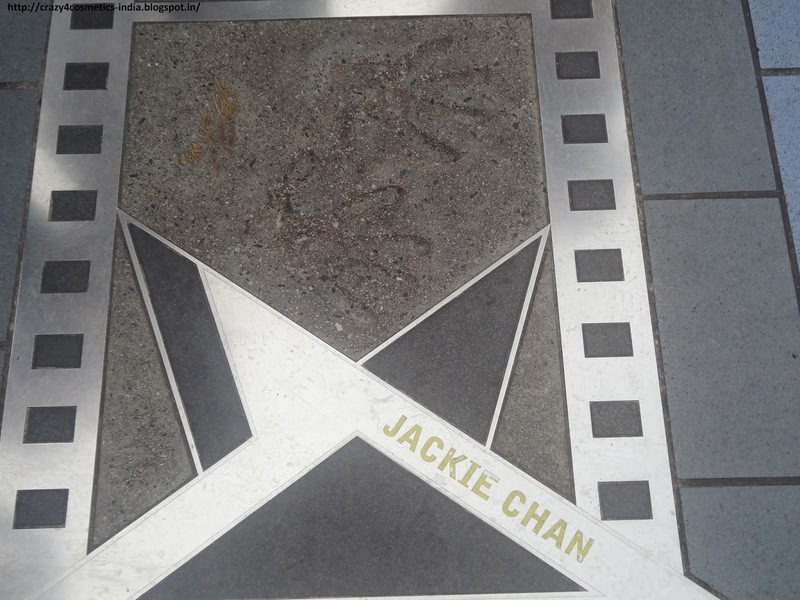 There are also hand prints of other famous stars most notably Jackie Chan and it was a great photo opportunity that we did not miss. 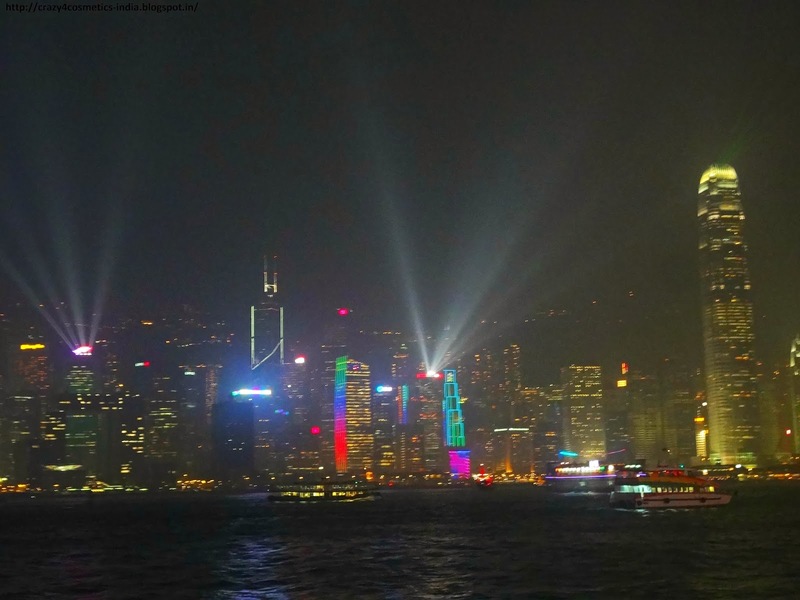 To add to all this there is Symphony of Lights laser show light show in which around 40 skyscrapers on the opposite side of harbor participate for about 10 minutes. 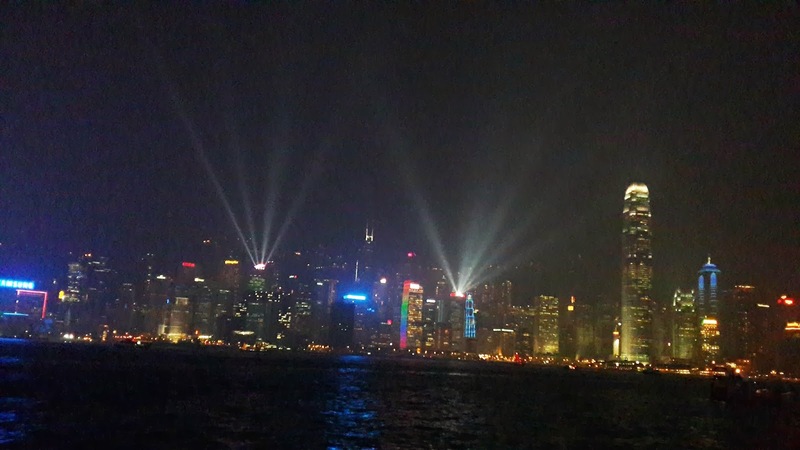 The show starts everyday at 8 :00 PM and the same can be watched either from Avenue of Stars or by taking a dinner cruise aboard one of the Star Cruise ships. We did not take the cruise and post the show we went back to the hotel to dine in and retire early as we had a long day ahead next day. Star Cruise is really not worth it for the cost and you would get better views from the Aveneue of Stars. 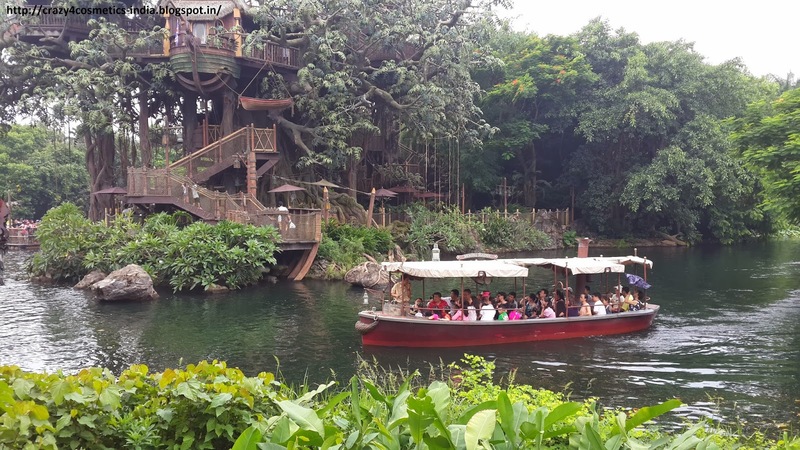 If you are planning to go to Disneyland better buy tickets at dedicated shops here to avoid queues at Disneyland.